It has been a long stretch since I have posted, but I have been extremely busy with couple of projects, so I thought I would take a few moments to share them with you. First off, I haven’t quit knitting. 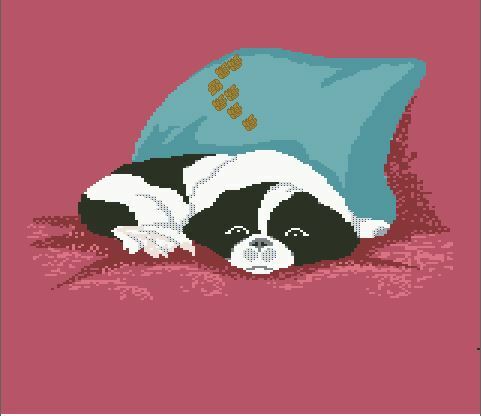 In fact, I have chosen to immortalize my dog with a new pillow design. I will be using white and black kid-mohair for the body, and will incorporate some of my sculpting techniques to give the body a more “real” appearance. I was thinking that I might even add a bit of silk thread in the eye area, once the knitting is complete. I will share the process later, when I see how it plays out. Secondly, if you have read my “about” page or have gone to my harp website, you know that I compose and arrange music, and it is that project that has me very grateful this Thanksgiving. 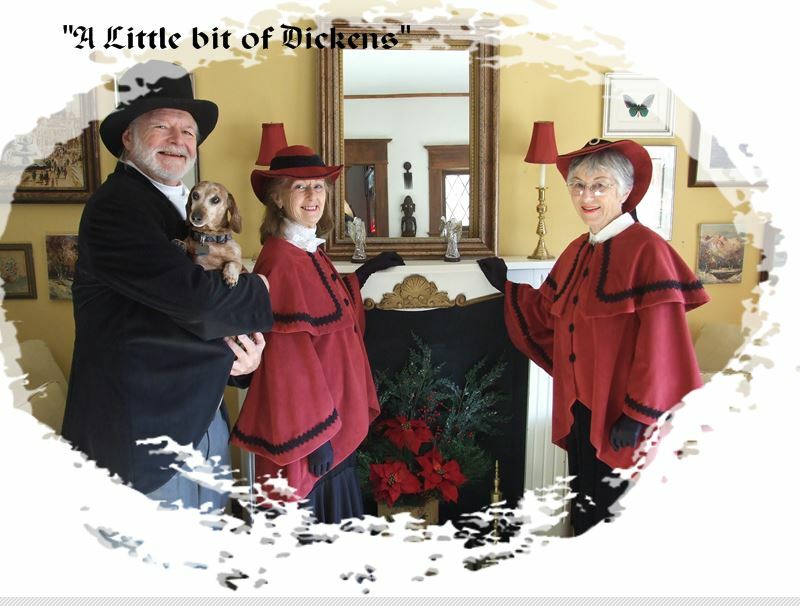 This summer I got together with a couple of my fellow 70 + singers, and started a madrigal group called , “A Little Bit of Dickens.” This gave me the opportunity to compose arrangements for our trio. What fun it has been. To add to my delight, they loved my compositions- it doesn’t get any better than that. Above is a photo of our trio, complete with costumes. We are all set for the Christmas season, and will be performing in our community. We all have had a great time rehearsing, and can’t wait to share our traditional style carols with friends and family. I hope to be back in the swing of things knitted after the first of the year, but until then I wish you all a blessed holiday season. PS – for those of you interested in a gift for your kids or grandkids, check out “Grandma’s Corner.” I have two children’s books for you to upload and share. Feel free to peruse them first.